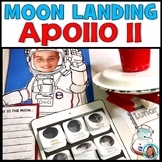 Fantastic resource to teach/review knowledge about Apollo 11 mission. Wordsearch is differentiated in 4 varieties (4 levels according to ability). Answer sheet included. Files are saved in PDF format. Thanks! 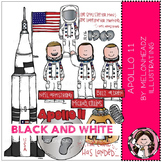 Also included in: Apollo 11 Website and Astronaut Research Bundle - Celebrate the Anniversary! 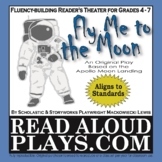 This is the comprehension questions to accompany the story Apollo 11: First Moon Landing by Michael D. Cole in the Imagine It! 5th grade textbook series. 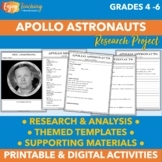 This is a trifold that can be done independently or in small groups for the story Apollo 11: First Moon Landing of the 5th grade Imagine It reading series. 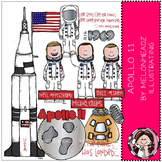 Included are two versions - one with page numbers and one without. 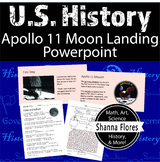 This lesson introduces students to the 1969 Lunar Landing. 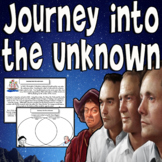 This lesson is the form of a PowerPoint Slideshow. 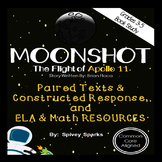 It also contains 5 worksheets with answer keys. 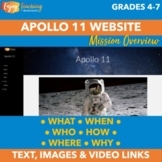 Fantastic resource to teach/review knowledge about Apollo 11 mission. TEST is prepared on 3 different sheets. 2 answer sheets included. 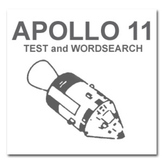 Wordsearch is differentiated in 4 varieties (4 levels according to ability). 1 answer sheet included. Files are saved in PDF format. Thanks! Fun comparison of the two voyages that occurred 477 years apart from each other that both had similar goals and outcomes. 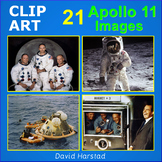 Take a look at the preview file and see the comparison between Christopher Columbus and the Astronauts of the Apollo 11 mission to the moon.